If you’re looking to break away from the everyday and treat yourself to a serious dose of alpine adventure, you’ll find North America’s largest mountain resort to be brimming with activities that will really get your adrenaline flowing. To help you along, I have pulled together the best of the best from all my insider knowledge to give you a fantastic 3-day itinerary (plus some bonus bits) for an unforgettable “adventure” getaway at Whistler Blackcomb. Before we get started, I can’t overstate the importance of having the right footwear and clothing for any level of adventure you may have in mind. Even if you choose activities that on the less-challenging side of things, you’re going to want well-constructed, closed-in shoes for even the mildest of trails (and bridge crossings!). And when you’re moving between 760m/2,500ft and 2,285m/7,500ft of altitude, you’ll definitely appreciate having multiple layers of clothing to put on and strip off as the temperature changes. A super-smart way to begin your adventure is at Blackcomb Base. 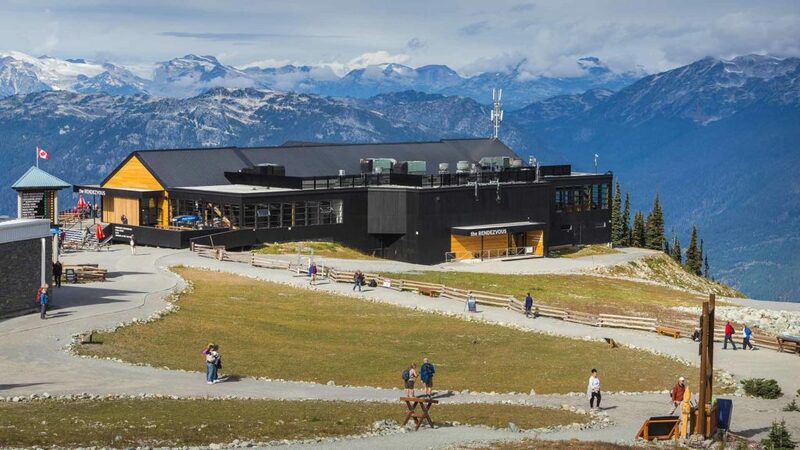 Our first destination for the day is the Rendezvous Lodge at an elevation of just 1,860m/6,100ft on Blackcomb Mountain and depending on your energy and fitness level, you’ve got several ways of getting there. If you’re anxious to get up into the alpine as quickly as possible, climb aboard the super-fast new gondola which will get you there in 14 minutes! If you’d prefer to begin your adventure with an exhilarating hike, I highly recommend the beautifully-built Blackcomb Ascent Trail (re-opening for the 2019 season after a construction closure). 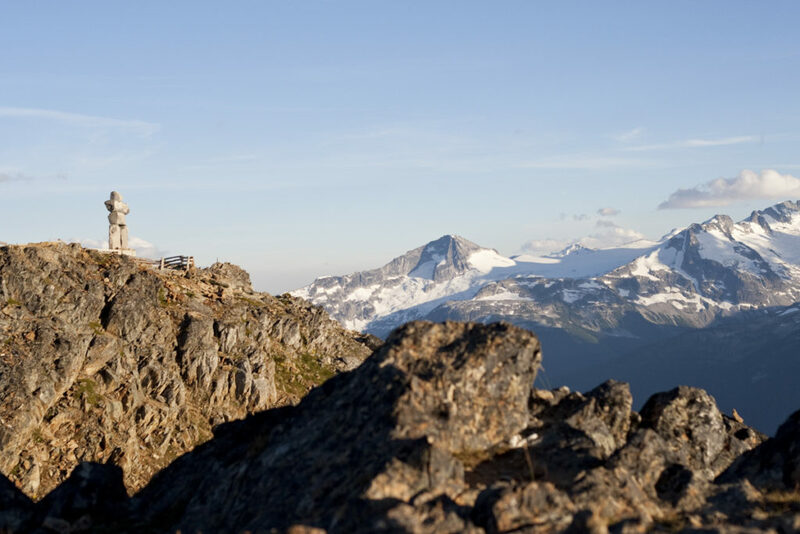 It’s a different style of hike than you’ll find in the high alpine, starting just 100m/325ft from the Blackcomb Base area and moving through three distinct sections that get progressively more challenging as you go up. Lovely bridges, chains along rocks and even a few staircases make sure there’s plenty of variety in the trail as it winds up through the giant Hemlock, Cedar, and Douglas Fir trees. Many hikers choose to hike the first two sections, “Little Burn” and “Big Burn” to the Blackcomb Gondola mid-station. At this point, you can take the gondola back down or up to the Rendezvous Lodge and not hike the third section, “Heart Burn”. However, for those who dare, the third section is the longest at 3.0km/1.9 mi and gains the most elevation (608m/2,000ft) as it heads up through a variety of challenging terrain before spilling out at the Rendezvous Lodge. If you took the Blackcomb Gondola up instead of hiking, there’s still a fantastic way to quickly immerse yourself in the mountain experience. The aptly-named Alpine Loop is a quick and easy walk (about 30 minutes) that begins and ends at the Rendezvous Lodge as it winds through a sub-alpine forest with spectacular views of the awesome Fitzsimmons Valley. Be prepared for some excellent photo opportunities! 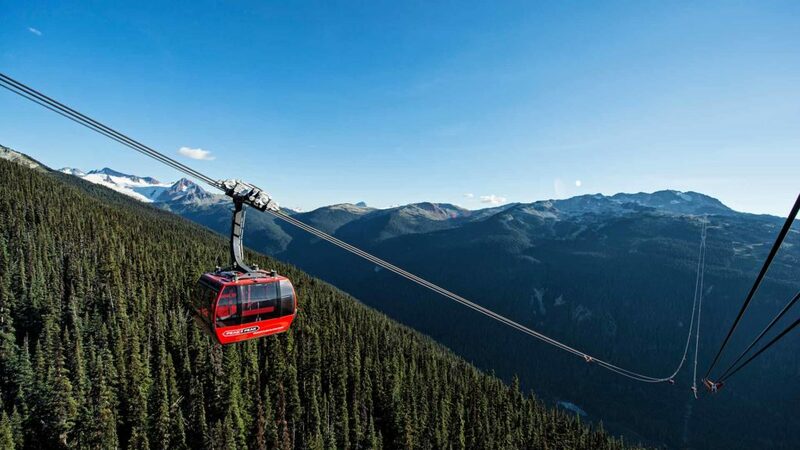 After arriving at back at the Rendezvous Lodge, I suggest grabbing a delicious snack or lunch before setting off on a truly epic Whistler experience – the jaw-dropping ride over to Whistler Mountain on the stunning PEAK 2 PEAK Gondola. Believe me when I tell you, this is 11 minutes of serious sensory overload and a totally unmissable part of your Whistler Blackcomb experience – everyone will completely love it! Did I mention it holds two Guinness World Records, including the highest lift of its kind at 436m/1,427ft above the valley floor. Set your cameras to high alert status! Your amazing ride aboard the PEAK 2 PEAK Gondola will take you all the way across (on the world’s longest unsupported span for a lift of this kind!) to the Roundhouse Lodge on Whistler Mountain. 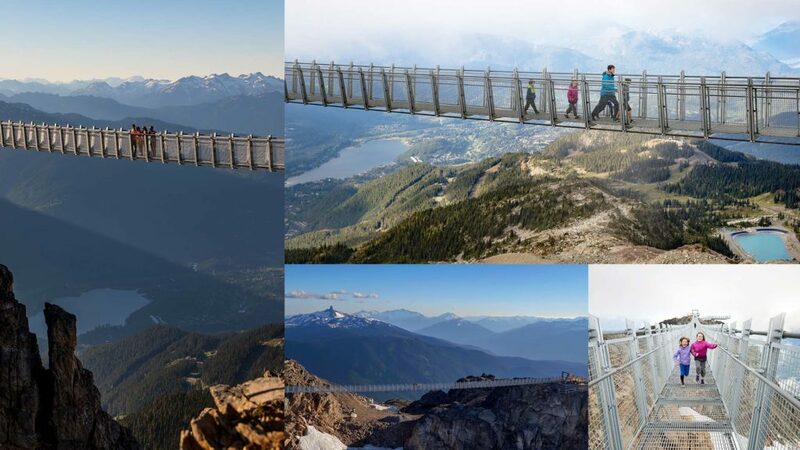 While your adrenaline is still flowing, this is a perfect time to head up to another one of Whistler’s most awesome (and newest) experiences – the breathtaking Cloudraker Skybridge! To get to it from the Roundhouse Lodge, just take a short walk down to the Peak Express Chair which will get you up to the Top of the World Summit. Once you’re on the bridge, you’ll feel totally secure but, unless heights don’t bother you in the slightest, prepare for a mild case of butterflies (yes, you can see straight down!) as you traverse the grated walkway from the peak of Whistler Mountain to the West Ridge and soak up the exhilarating views high above Whistler Bowl. The Cloudraker Skybridge will quite literally take your breath away (in an exciting way) – DO NOT MISS IT! After all that thrill-seeking, I couldn’t blame you if you just wanted to catch your breath back at the Roundhouse Lodge (and soak up even more jaw-dropping views over a refreshing beverage from the open deck at the Umbrella Bar!). But if you’ve got more energy in your tank, the best hiking experience on Whistler Mountain happens to start just behind the Inukshuk at the top of the Peak Express chairlift. Be warned that it’s a 3-4 hour route (about 9.4km/5.8mi) but the payoff is sweet: stunning views of Black Tusk and Cheakamus Lake as you descend through rugged terrain that mellows into a rolling course. After an adventurous day on the mountain, it’s time to head back down to the valley (an easy download on the Whistler Village Gondola) for whatever your evening has in store for you. But don’t hit the sack too late – we’ve got big plans for tomorrow! TIP: For savings and convenience, I strongly recommend buying a PEAK 2 PEAK sightseeing ticket in advance of your arrival. For even bigger savings and loads of other perks, you should opt for the PEAK 2 PEAK 360 Season Pass – it costs less than two individual day tickets! And if you do decide to head up the Blackcomb Ascent Trail, keep in mind that you’ll need to buy a download ticket if you decide to head back down from mid-station or a PEAK 2 PEAK ticket/pass if you upload to the Rendezvous Lodge. After the amazing alpine discoveries of Day One, it’s time to see what new adventures await you a little further down the mountain, and there’s no better place to begin than on a soaring high-wire Ziptrek Tour. If you’ve ever wondered what it feels like to fly but don’t relish the prospect of jumping out of a plane with a parachute on your back, this may be the experience you’ve been looking for. 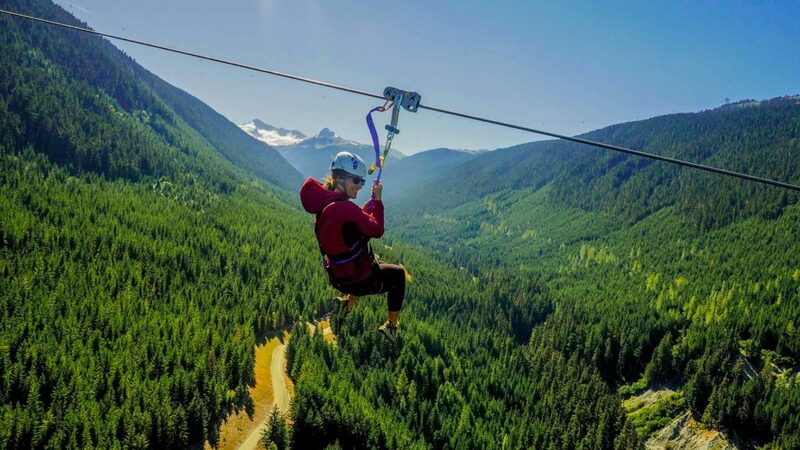 Here at Whistler, Ziptrek offers a choice of 6 guided zipline tours that combine high-wire adventure and ecological exploration high above the forests of Whistler Blackcomb. But for the ultimate zipline experience, you’ve simply got to try the Sasquatch Tour and here’s all you need to know: you’ll be traveling through the air from high up on Blackcomb Mountain to mid-mountain on Whistler across a mind-blowing distance of over 2km/1.2mi hitting speeds well over 100kph/62mph at elevations of over 180m/600ft above the ground at certain points! It’s definitely the thrill of a lifetime and not to be missed. TIP: If you want to forever savor this unique experience and its stunning 360º views (not to mention impressing all the folks back home), I’d suggest renting a GoPro camera when booking the tour. After such an adrenaline-filled start to your day, I recommend hanging out on a sun-drenched patio watching people from around the world stroll by as you take in some much-needed nourishment. There are countless restaurants and cafés in the Village to choose from, each serving up their own unique mountain flavours. Then it’s on to two great options for the afternoon: off-road explorations and on-slide thrills. Let’s get right to it. Anyone who has ever watched the Winter Olympics (which is pretty much everyone) knows just how hair-raising the bobsleigh events can be. Hurtling down incredibly narrow ice-lined chutes at ridiculous speeds is not for the feint of heart. Well here’s your chance to grab a piece of that thrill-a-minute experience for yourself, courtesy of the downhill sliding track that’s a legacy of the 2010 Olympic Winter Games. Just head over to the Whistler Sliding Centre (seven days a week, rain or shine) and sign up for the public Bobsleigh Summer Program. 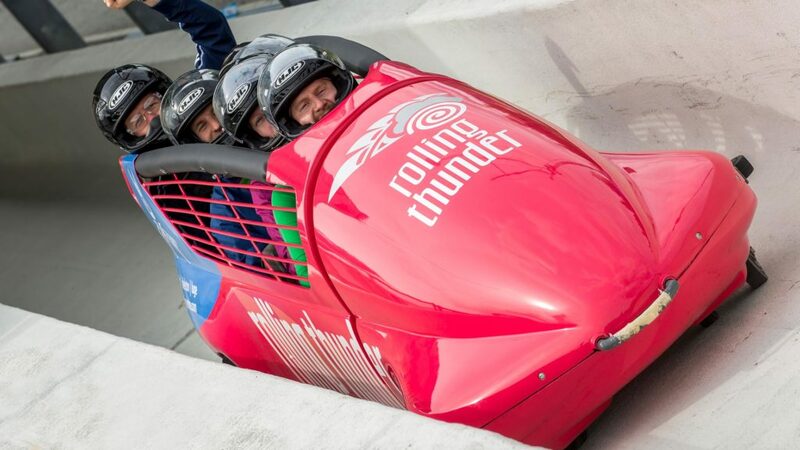 After a safety orientation and tour of the 2010 Olympic Winter Games venue including an exclusive track walk, you, a trained pilot and three other enthusiastic passengers will climb aboard a bobsleigh equipped with wheels for an exciting trip down the Olympic track, reaching speeds of up to 90kph/55mph. Needless to say, this is not an experience offered in too many parts of the globe so “once in a lifetime” really applies – go for it if you can! 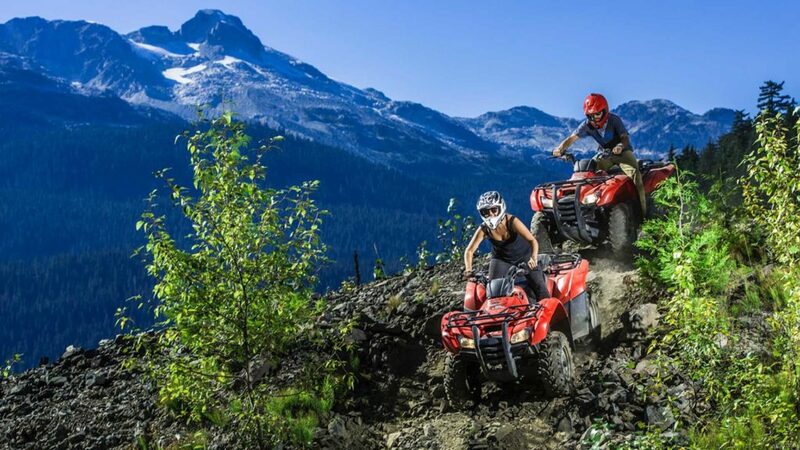 If piloting a 4-wheeled mountain machine is more your speed, you’ll definitely want to try the thrill of exploring Whistler on a single-person ATV or 2/4-person UTV. Canadian Wilderness Adventures is one of the premier outdoor activity adventure groups in Whistler and offers some fabulous ATV tours guided by their experts and designed for your comfort, ability and skill level. If you’d rather enjoy the experience with a family member or friends, a multi-person UTV might be the way to go. These off-roading buggies will take you up the mountains, over rocks and hills through the backcountry of Whistler, Blackcomb or Cougar Mountain, stopping off at some of the most breathtaking and unique views that Whistler has to offer and that can only be accessed by your off-road UTV vehicle. If you’re looking for heart pounding adventure, this is certain to deliver! Your guide will teach you in minutes how to drive your very own ATV/UTV adventure machine and the tours run about 3-4 hours. Once again, it’s one of those unique activities that you may never have the chance to do again (especially in such an incredible setting) and that’s guaranteed to put a great big smile on your face! One of the fantastic summertime features of Whistler that catches many visitors by surprise is its incredible collection of spectacular rivers. Nothing tops putting on a wetsuit and flying down the rivers of Whistler going through beautiful lakes and exhilarating rapids. 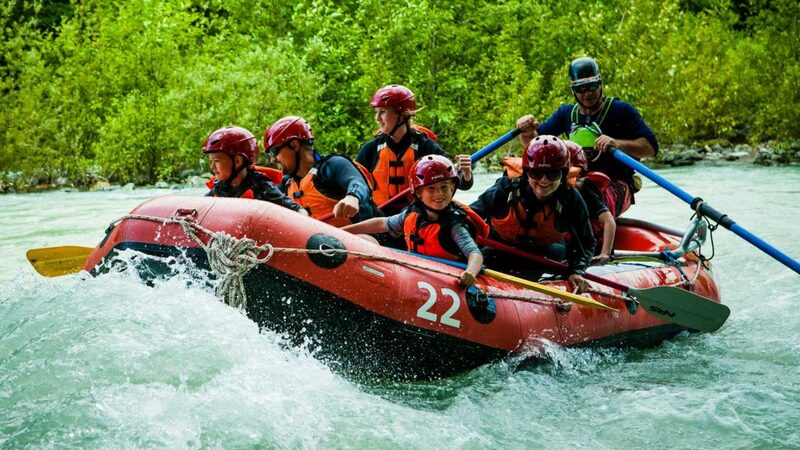 There are several rafting trips to choose from but if it’s thrills you’re after, the one I recommend is the Elaho-Squamish River Tour hosted by Wedge Rafting. Starting off south of Whistler Village in Paradise Valley and ending up down in Squamish, this 8-hour tour encounters Class 3 and 4 rapids that gives thrill-seekers the challenge they so crave from a true whitewater rafting experience. Every aspect of this adventure, including the gorgeous drive to the river, will envelop your senses and allow you to gain even more appreciation for the wild wilderness of the Coast Mountains. A bathing suit and towel is all that is required. Wedge Rafting BC provides complimentary farmer-john wet-suits, wet-suit jackets and boots to keep you comfortable, rain or shine. Consistently rated as a top activity, this is an experience you don’t want to miss and a fitting end to an unforgettable 72-hour adventure-filled getaway. As well, as the tour ends in Squamish (about halfway to Vancouver), it’s an ideal choice for the last activity of your Whistler adventure if you’re headed back down to Vancouver or the airport afterwards. If you want to be in the centre of it all, the Crystal Lodge features an unbeatable location in the heart of Whistler Village, just steps from the Gondolas, all the creature comforts of home, and too many fabulous amenities to mention. One of Whistler’s most iconic hotels, the Fairmont Chateau Whistler offers an array of world class eateries, stylish boutiques, and a fabulous pool and patio experience featuring poolside food and bar service! If you’re looking for the ultimate in comfort and style, look no further than The Westin Resort & Spa Whistler, conveniently located close to all the amazing shops and restaurants in the Village. Its residentially-styled suites boast spacious soaker tubs, modern kitchenettes, and stunning mountain views. 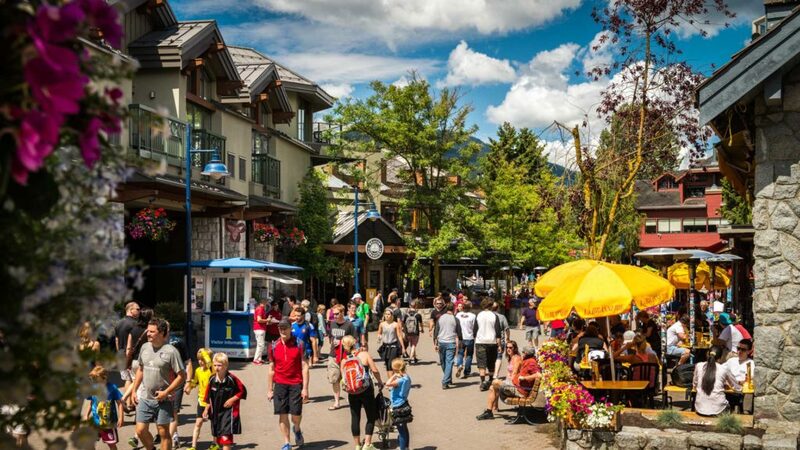 As Whistler’s only full-service, all-suite hotel, the Pan Pacific Whistler Village Centre features a spectacular location (a 1-minute walk from Whistler and Blackcomb gondolas! ), incredibly well-equipped suites, complimentary breakfast – and it’s pet-friendly! In the amazing Creekside area, just a 5 minute drive from the Main Village, Evolution offers spacious one, two and three bedroom suites, including full kitchens, private balconies, in-suite washer/dryer, and gorgeous views. Looking for even more intel on the perfect vacation for the adventure-minded traveller? Our experienced and knowledgeable staff are here to help. Give us a call today.